A powerful artifact embossed with precepts that inspired the world’s major religions, the Emerald Tablet is the catalyst that thrusts Devlin and FBI Agent Braydon Fox into a heart-pounding quest on a mysterious island. Add in cutting-edge nanobot technology that makes the imagined appear real, prehistoric beasts that morph into mythical monsters, and a villain desperate for redemption. This story is a page-turner with depth. Devlin’s knowledge, courage and endurance are tested to its limit as she races to find the three pieces of the Emerald Tablet. Merlin, the Minotaur and Mesoamerican mythology are some of the twists and turns on this thrill ride through history. All of them are looped together by the Emerald Tablet’s extraordinary past. Romantic entanglements and the villain’s offer to use the nanotechnology to heal her father’s damaged psyche complicate Devlin’s mission. Stakes escalate as the searchers delve deeper into the jungles of the island and their own minds. Hegarty’s books dare readers to reach the brink of reality and take a leap of faith. 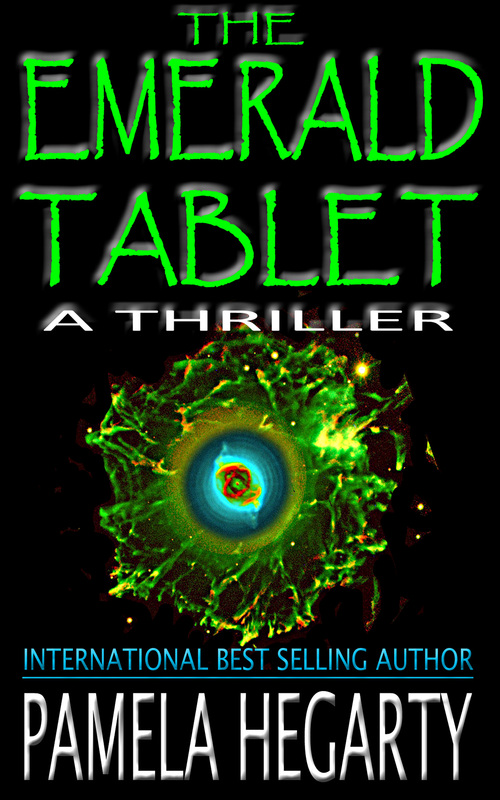 In “The Emerald Tablet,” it’s worth the risk. The book is available in electronic and print formats at Amazon.com. Author Bio: Pamela Hegarty is the award-winning author of international best-sellers The Seventh Stone and The Emerald Tablet, thrillers that combine page-turning action with historical intrigue. Website: www.pamelahegarty.com. Twitter: @pamelahegarty. Photo: For The Emerald Tablet front cover, click here.